The Path of Mindfulness in Everyday Life. Thich Nhat Hanh shows us how to make positive use of the very situations that usually pressure and antagonize us. Insights on Human Nature That Can Change Your Life. Joshua Loth Liebman tries to present some answers that have proved helpful to him about the universal human dilemmas of conscience, love, fear, grief, and God. How to Be Calmly Active and Actively Calm. 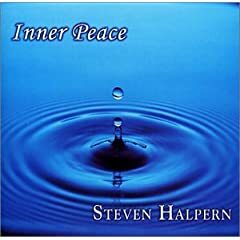 For all who feel that stress and nervousness are an unavoidable fact of modern life, one of the great spiritual teachers of our time reminds us that within each one of us is an inner core of peace that we can learn to access at will. Use these cards to enhance your health, happiness, and peace of mind! We need to be challenging our spiritual growth. This book is an ideal way to do just that! People Who Changed the World: People Who Changed the World. 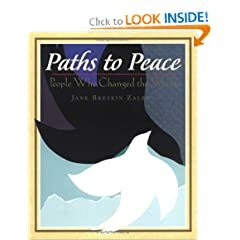 With a stirring quote set within a stunning and incisive collage, Zalben sets the tone for each of the sixteen peacemakers she profiles in this book. Music to help you find your inner peace.